With the upcoming wedding of England's Prince William of Wales to Catherine Middleton, chefs in D.C. have been baking their own royal confections. Maris Justusson, pastry chef at the restaurant Againn, has been serving two decadent British desserts. She shares her two of her recipes inspired by the royal nuptials. 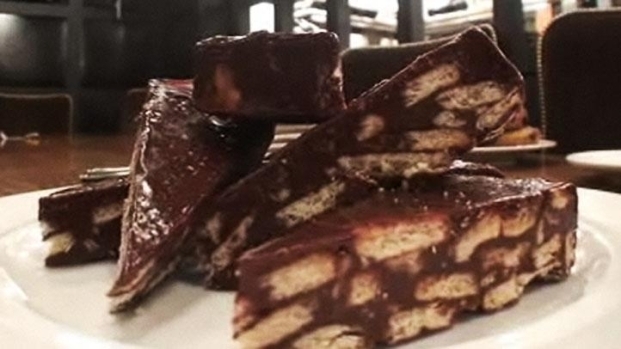 The traditional chocolate biscuit cake is said to be one of Prince William's favorites. The fruitcake is a traditional bride's cake. Chefs at D.C.'s Againn are making a pair of cakes inspired by the upcoming British royal wedding.